ServerGuy Review 2019: Is ServerGuy a Good Hosting? ServerGuy has been providing managed hosting since 2009 with a 99.9% uptime guarantee and 24/7 customer service. You’ll pay a premium for the plans, but the support is top-notch. ServerGuy has been providing managed hosting services since 2009. Currently manned by a team of 40 employees, ServerGuy has worked with more than 1,000 companies to date and has offices in the U.S., India, New Zealand, Singapore, Australia, and the United Arab Emirates. Its website and services are available in English. As this is a fully managed hosting service, ServerGuy will handle all of the technical hosting tasks such as configuring and maintaining your servers, cloud security, and data backups. You’ll also get a range of performance-enhancing features such as PHP 7 support, Redis, NGINX, Memcache, and the Cloudflare CDN. In fact, ServerGuy claims that with its “super fast servers,” your website will load in less than two seconds. Higher-tier plans include the Sucuri Web Application Firewall (WAF) and a staging environment so you can test out new features or redesign your website without affecting your live website. If you’ve already got an existing website, ServerGuy’s team will also move it over to their platform free of charge. 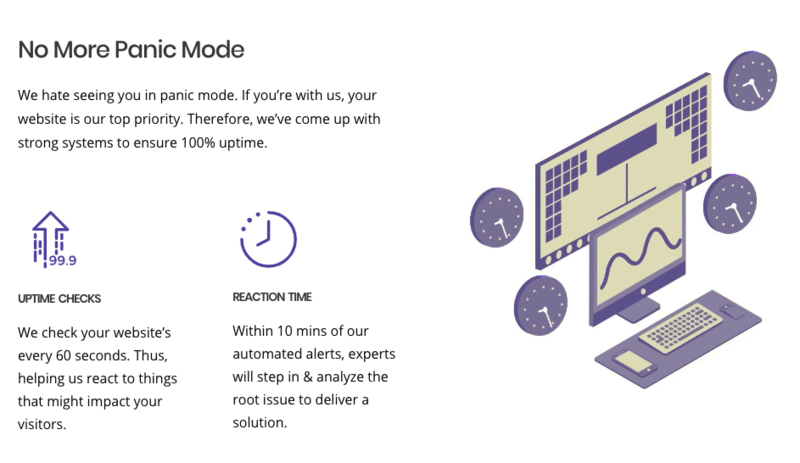 There’s an industry-standard 99.9% uptime guarantee, which is backed by compensation in the event of excessive downtime. Furthermore, your website is checked every 60 seconds and within ten minutes of any disruption in service, experts will be working to find and fix the issue. ServerGuy offers a range of base plans for WordPress, Magento, AWS, and Digital Ocean. Should none of these fit your requirements, however, you can always contact the team to configure a package specifically for your company. ServerGuy’s packages are priced at a premium, but considering this is a fully managed services with many value-added features, I think it’s good value for money. 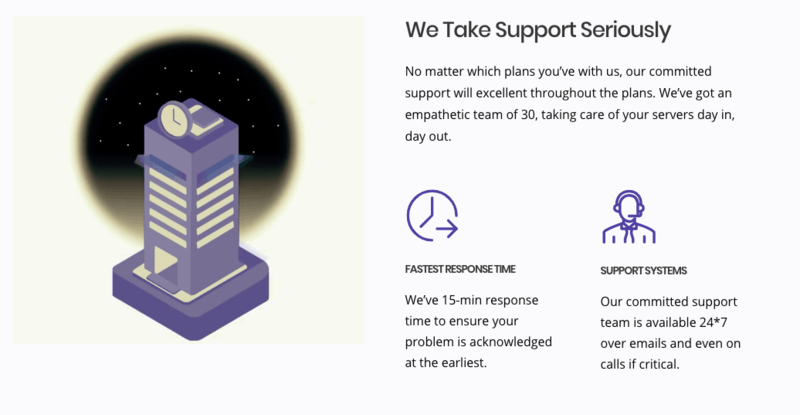 There are detailed case studies on how ServerGuy has helped other companies reduce their hosting costs, so you can understand how a managed solution will reduce your hosting overheads in the long run. Unfortunately, the pre-packaged plans only have one-month billing cycles, so there’s no discount for signing up for a longer contract upfront. There’s also no money back guarantee for the month-to-month hosting plans, though due to the nature of these flexible contracts, you can always cancel after the month is up. Customer service is available 24/7 via phone, email, ticket, and live chat. There are also multiple offices worldwide. If you’d like to research solutions on your own, you’re out of luck; you won’t find a help desk or knowledge base. 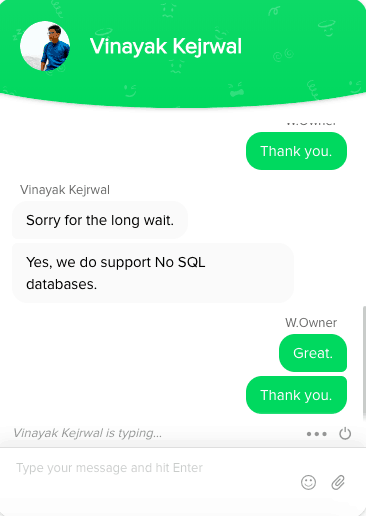 That said, the lack of a knowledge base doesn’t appear to be a huge issue: I contacted customer service via live chat mid-morning GMT on a weekday. The operator picked up straight away and answered all of my questions. He was helpful and friendly, apologizing for the “long wait,” which in reality was less than one or two minutes. ServerGuy has been providing quality managed hosting since 2009. While you’ll pay a premium for these services, ServerGuy’s high standards of service mean you can worry less about speed, security, and website optimization and focus more on building your website or e-commerce portal. Wondering how ServerGuy stacks up against other Web Hosting companies? Enter any other Web Hosting company and we will give you a side-by-side comparison.